Research In Motion has launched yet another sale on its PlayBook tablet, selling discounted versions of the device for $300. The discount applies at RIM's online outlet and participating retailers, which include Wal-Mart, Radio Shack and Best Buy. However, while $300 represents a substantial knockdown of list prices for the 32 GB ($599) and 64GB ($699) models, it represents a price increase for the 16GB models, which have been selling in some places for as low as $199. Even at $300, a buyer may not find the PlayBook much of a bargain. It has little app support, no personal information manager or e-mail, and it only supports Wi-Fi. Although the PlayBook had promising sales when it was introduced in 2011 -- it sold 500,000 units during its first three months on the market -- sales have been downhill ever since, despite promotions to stoke up those numbers. Last September, for instance, Best Buy clipped $100 off every model in the line. And in October, RIM offered a two for one sale on the devices. Nothing worked, however, and in December, RIM wrote off the whole PlayBook experiment and took a charge on its books for its entire tablet inventory -- 970,000 units worth $485 million. 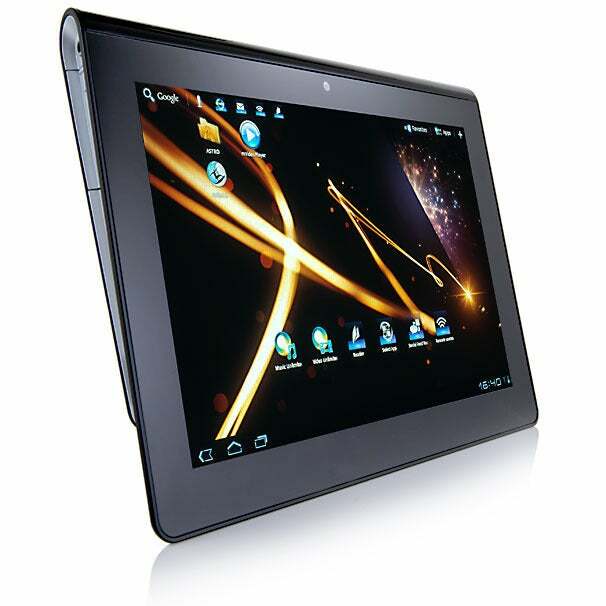 RIM isn't the only tablet maker trying to move inventory following the holidays. Sony, too, has pared the price of its Tablet S slate. The 16GB model ($500) is now selling for $400 and the 32GB model ($600) is $500. Those prices are $100 below comparable iPad tablets. And unlike the PlayBook, Sony's Tablet S has received excellent reviews. "The Tablet S shows that the consumer electronics giant has not lost its design mojo over the years, as this model brings Sony's originality and flair to a tablet market that desperately needs both," wrote Melissa Perenson in PCWorld.